It was my Mom's birthday celebration this past weekend. I made a red velvet cake as a transport vessel for the many, many candles. It was delicious, and I am sad that it is now gone. That does not mean, though, that we can't celebrate the rich, sumptuous nature of red velvet. 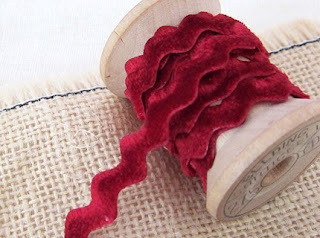 Red velvet rickrack ribbon. Isn't this fabulous? Find it in the shop of ixhop. 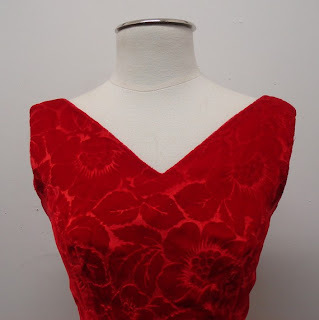 As if vintage dresses aren't perfect enough, here is one in gorgeous red velvet. This is in the shop of mintagestyle. 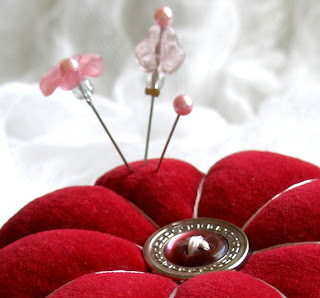 A classic tomato shaped pin cushion in pluffy red velvet lives in the shop of jilverbick. 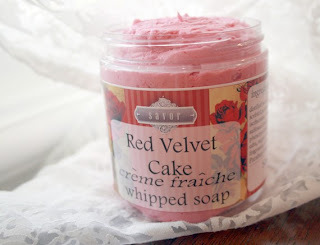 Mmmmmmmmmmmmm.... Creme fraiche whipped soap in red velvet flavour/scent. Find this in Savor. 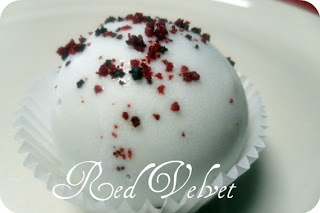 And finally, a red velvet cake ball. Doesn't this look like a perfect little treat. This delectable little bite can be found in goincrazyinME. Hope you enjoyed this delicious tour.